When you think Nike, what springs to mind? Roshes, Air Max, maybe even Air Force 1? What about one of the newer kids on the block, the Nike Presto? While the swoosh brand’s more popular silhouettes tend to tread a fine line between street-style and sporty looks, the Nike Air Presto’s design focused more on the latter they found the perfect blend for both worlds. The new Nike Presto Fly takes the best of the original Presto with some more sneakerhead styling which might just make it the newest streetwear staple of 2017. The most glaringly obvious change of the Nike Presto Fly is the removal of the molded cage, which gives the sneaker a more Roshe-esque look. While the mid sole mostly retains the look and feel of the original, the signature swoosh has been upgraded to the more traditional position on the upper. You want people to know you’re wearing a pair of Nike’s eh? 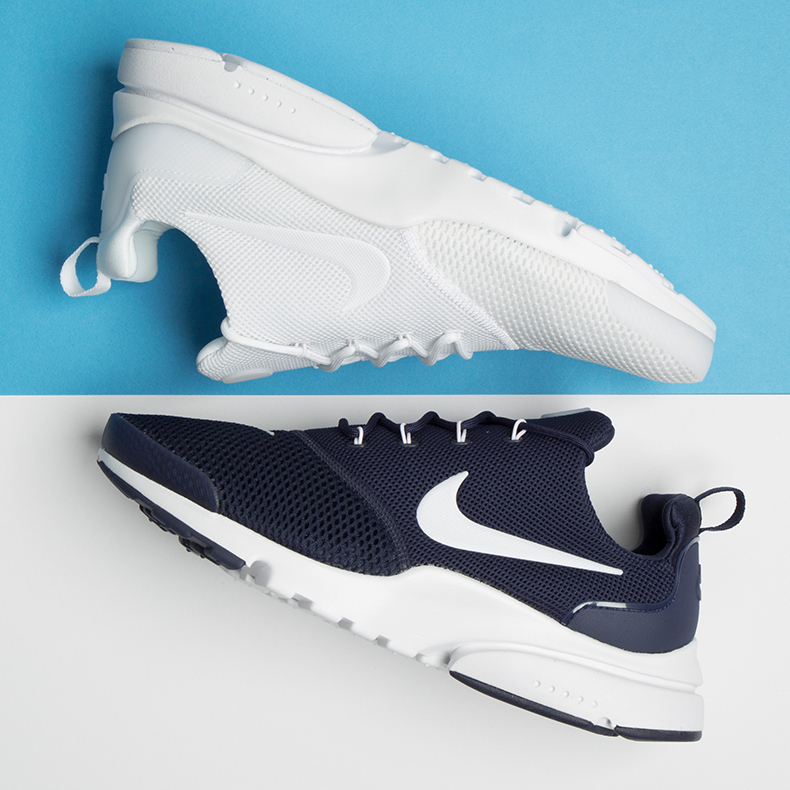 So yeah, really it has the look of a slightly beefier version of the Roshe. Particularly with the mesh construction giving it that lightweight and breathable feel we all know and love. So there’s the good news for all you Roshe and Presto lovers alike, the little added bit of somethin’ somethin’ for your sneakers. Sold on them? Course you are. 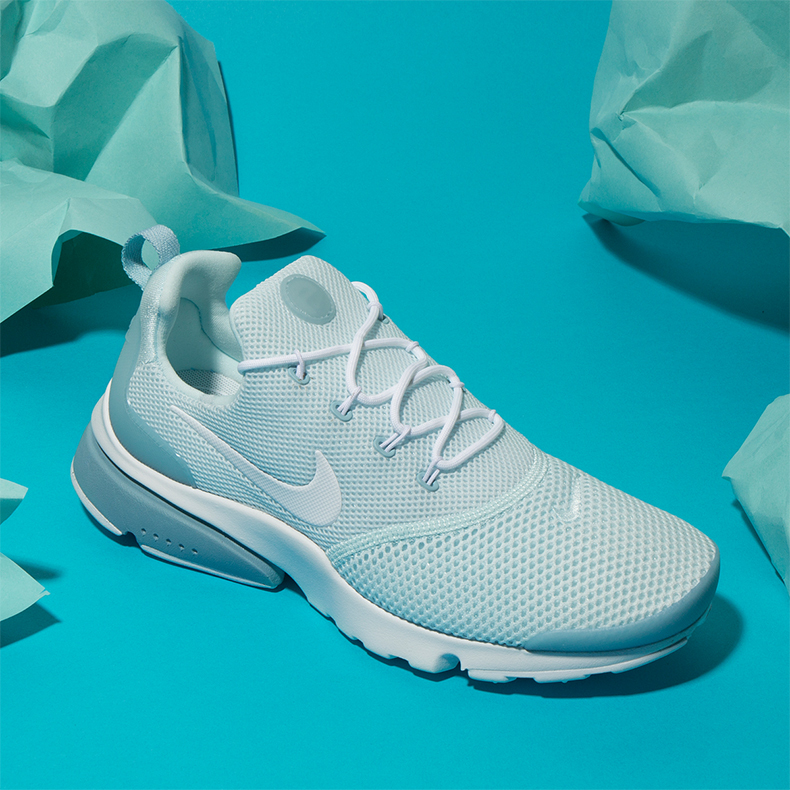 Check out the Nike Presto Fly and our full range of Nike trainers and start looking real fly.